When you don't have a bathtub you have to get creative or resourceful. 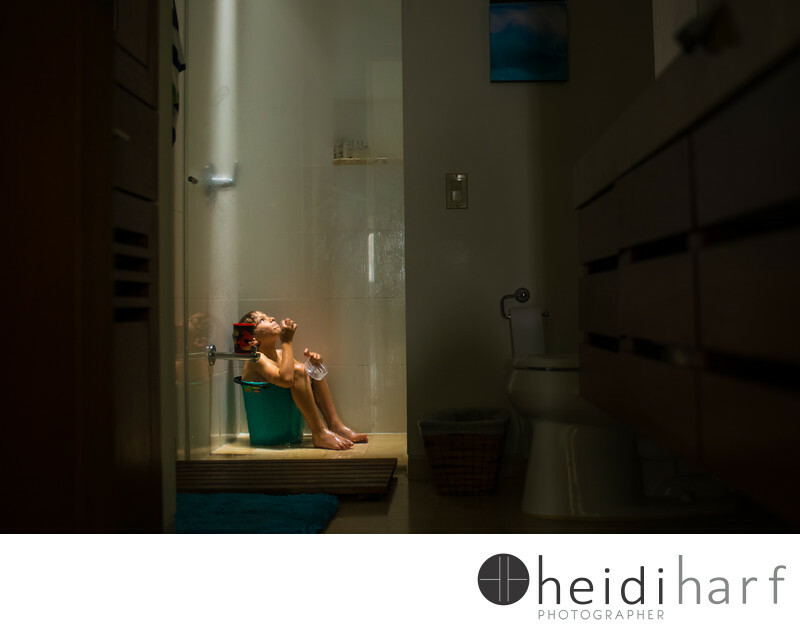 This kid enjoying a quiet moment in the shower sitting in a green bucket. The light from the skylight hits his face perfectly has he relaxes. This photo was taken on a recent half day in the life, documentary family photo session. Keywords: bucket (3), kids (87), shower (3).